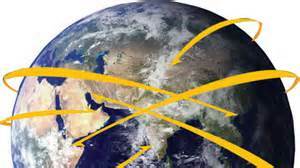 Throughout recorded history mankind has consulted the gods (as known by them) for direction. The Greeks had the Oracle of Delphi, the Romans had the Sibylline Books, and the Chinese had the I Ching, which is still being used by many today. The major religions each have their holy works, Christians have the Bible, Islam has the Koran, Hinduism has the Bhagavad Gita, Baha’i’s have their books, such as The Seven Valleys; all speak of an end times, a period of an ending for some and a new beginning for others. All texts imply a direct involvement of a higher world into our affairs or at the very least a power which has the ability to know the future. While, all of us desire to know our personal destinies, somehow we believe that foreknowledge of events will make us better prepared and less anxious, at times we ponder larger horizons, what is the future for the human race? What is the endgame for us here on earth? For Christians the answer is the Apocalypse, the final judgment of us all by Jesus, as recorded in the Bible; “Now when the Son of Man comes in his majesty, accompanied by all the angels, he will sit on the throne of his glory. And all the nations will be gathered before him and he will separate some from the others as a shepherd separates the sheep from the goats, and he will put the sheep on his right and the goats on his left. Then, the King will say to those on his right, ‘Come, you who are blessed by my Father’”. We are being told in the New Testament that a great division will be coming. According to Spiritism, we are being prepared for the transition of the earth from an expiratory sphere to a higher level, where the good spirits are the majority of the planet. Allan Kardec, in his book Genesis, explains the implications of the final judgment, “Since the good must finally reign on the earth, it will be necessary to exclude spirits who are hardened in evil and who could bring trouble to it. 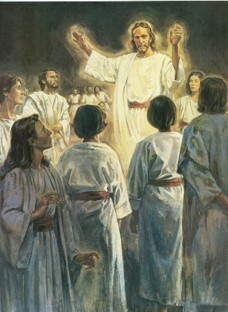 God has already allowed them the time needed for their improvement; but when the time comes in which, through the moral progress of its inhabitants, the earth must ascend in the hierarchy of worlds, it will be off limits as a home for incarnates and discarnates who have not taken advantage of the teachings they have been in a position to receive there. They will be exiled to lowers worlds as formerly those of the Adamic races were exiled to the earth, and they will be replaced by better spirits”. The weeding out of the reluctant spirits and the populating of the planet with good spirits will be a gradual conversion. We are being groomed to attain the state required for us to inhabit a non-expiratory world. In Genesis, the Apocalypse will not occur in a big bang but will be; “According to the Spirits the earth will not be transformed by a cataclysm that will suddenly wipe out an entire generation. The current generation will disappear gradually and the new one will follow it in the same way, without there have been any change in the natural order of things”. Therefore, the process is and was happening all around us and is continual, from the first human discovering fire to the small gatherings of Spiritists. It is in God’s design that this conversion occurs. And again in Genesis, according to the Spirit world; “When something is in God’s designs, it must be accomplished one way or another. Men and women contribute to its execution, but no one is indispensable; otherwise, God would be at the mercy of God’s creatures”. How does the Spirit world march us inexorably toward their goal? As we all know, the human race are undisciplined soldiers, we seldom are able to parade in lockstep, without plenty of training and threats of punishment. The answer is that there is an active campaign being waged. Battles are being fought with knowledge, fraternity and persuasion. Armies are being mobilized and troops sent to various locations. The human race is in constant conflict with the Spirit world and we don’t even realize it. We are pushing for greater power and materialism, while the Spirit world is countering with education and love. “Amateurs talk Strategy and Professionals talk Logistics”, quote attributed to General Omar Bradley (US general in World War II). Logistics, the organization of complex tasks, the Spirit world’s ability to move souls, and not just any spirits, but those with specific skills, to vital points at the correct time is the key. The Spirit world is able flood any contested field with their soldiers. Yes, the troops are human and prone to failure, but as written in Genesis; “If those entrusted with a mission fail to fulfill it, someone else will be assigned to it. No mission is unavoidable; individuals are always free to fulfill that which has been entrusted to them and which they have voluntarily accepted. If they do not fulfill it, they lose the benefit and assume responsibility for the delays that might results from their negligence or ill will. If they become an obstacle to its fulfillment, God can snap them with one breath”. How will we achieve an even balance between our religious life, scientific advancements, and public good and private responsibility? There is a plan and it has been in progress for thousands of years. It is a design of slow and deliberate movements of souls in the right place at the right time. Always with the objective to raise the human race’s maturity, knowledge, and spirituality little by little. Sometimes with seemingly great leaps backwards, but always in the end a little progress is apparent. The first mention of the existence of a plan, with Jesus leading the effort is in the Holy Bible; “God has now revealed to us his mysterious plan regarding Christ, a plan to fulfill his own good pleasure. And this is the plan: At the right time he will bring everything together under the authority of Christ – everything in heaven and earth. Furthermore, because we are united with Christ, we have received an inheritance from God, for he chose us in advance, and he makes everything work out according to his plan”. Paul himself knew he was part of the plan, for he wrote, “But even before I was born, God chose me and called me by his marvelous grace. Then it please him to reveal his son to me so that I would proclaim the Good News about Jesus to the Gentiles”. In the book, On the Way to the Light, the spirit Emmanuel, writes that the Apostles of Jesus, while high order spirits on a mission, lacked the ability to resist the impulse to create an aristocratic character to the new churches, an aspect that attempted to retain the elitism found in Judaism. 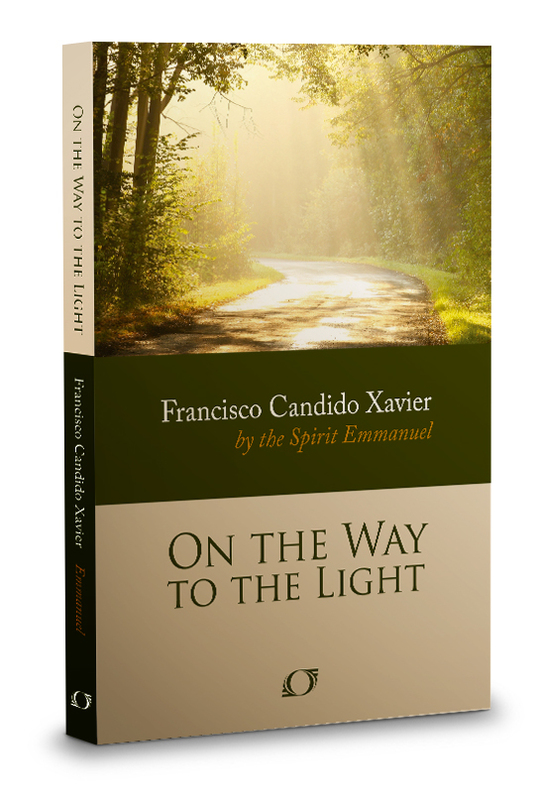 Something had to be done, therefore Emmanuel reports, “Thus, Jesus decided to call upon the luminous and energetic spirit of Paul of Tarsus to help carry out his ministry. This decision was one of the most significant events in the history of Christianity. The deeds and letters of Paul became a powerful universalizing element for the new doctrine”. Paul writes that he was chosen for his mission before he was born, but Emmanuel reports that Paul was used because the circumstances demanded it. This illustrates the depth of the planning by the Spirit world, spirits are put into place to act as back-ups in case the original people either fail their mission or need assistance. Another example of the multi-layered plan to move us toward enlightenment is the preparation for the arrival of Allan Kardec. 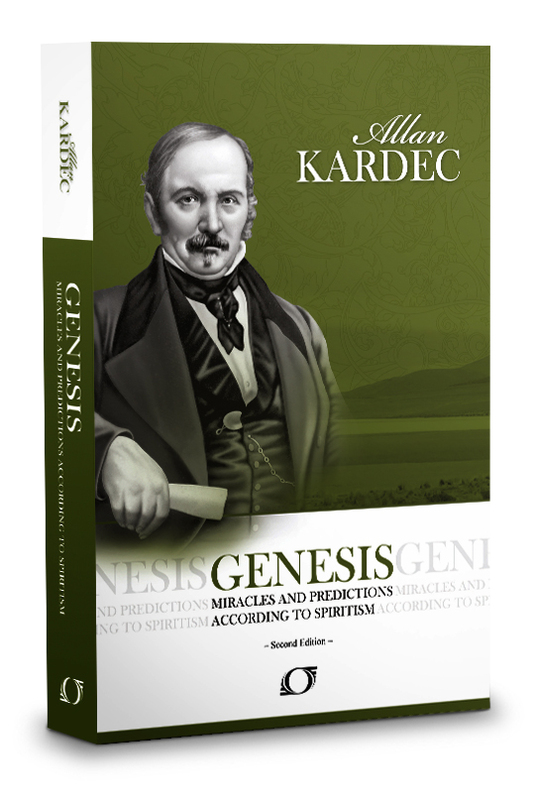 We tend to think of Allan Kardec as being in a vacuum, a wonderful person who had the idea of organizing the communications of the spirit world in a form we could all read and use for our personal instruction. In fact, Allan Kardec was just one part of the overall plan, as described by Emmanuel, “On his mission of enlightenment and consolation, however, Allan Kardec would be accompanied by a plethora of companions and collaborators, whose regenerative work would manifest not only in matters of a doctrinal nature, but in every area of intellectual activity of the 19th century. Science in those days made large strides that would lead it to the heights of the 20th century”. This demonstrates the complexity of the resources the Spirit world possesses and the intricate planning that must have been accomplished. They are able to mobilize spirits to be reincarnated in selected fields, whether as scientists, professors, philosophers, mediums or politicians, to actively promote their objectives. Imagine the complexity of ensuring the correct families, with the right beliefs and attitudes, wealth and connections, to procreate and raise the children who grew up to change the world. Think of the variables, with the great number of diseases that were incurable in the 1800’s, the rate of infant mortality, temptations for those with money and power, the list could go on and on. 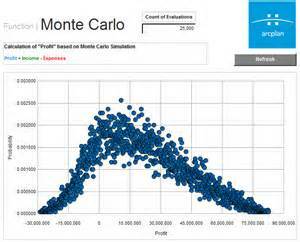 It is as if the Spirit world ran impossibly complex Monte Carlo simulations (an algorithm that runs a simulation numerous times taking into account changing variables). Truly, it is exciting to imagine how the strategy and logistics are actually taking place. The Spirit world’s design for our ascension to a higher world does not only encompass strategies for our personal spiritual and educational growth, but the structure, organization, and boundaries of countries. For a large group of individuals to gain enlightenment the right surroundings must be created. The environment must set so people are able to begin the steps toward the true path. They need to be able to not worry about where their next meal is coming from, or if their city will be attacked at any moment, or if their dictator will suddenly decide that someone must die. The rise of Greece and their experiments in democracy, individualism and philosophy were not accidents. The Spirit world wished to divorce mankind from their primitive attachments to tribal leaders and kings, superstitions and magic talismans, to a higher level of comprehending the world around them. Therefore, according to Emmanuel, the Spirit world, “Under the influence of the merciful soul of the Christ, all Greece was peopled with eminent artists and thinkers in the areas of philosophy and science. The Italic and Eleatic schools let the way with the fervent idealism of Pythagoras and Xenophanes”. Here is a case study of the Spirit world deliberately populating a specific area of the world with spirits chosen for their required skills. The aim of the exercise was to effect a revolutionary change in the social and intellectual structure of an entire people. On the other hand, when the Spirit world’s plan for a society went astray, through the collective failures of their messengers while incarnated, they could pull the plug on the experiment and use the pieces later for a new attempt. An example of this is the destruction of Rome, as described by Emmanuel, “Jesus ordered the transformation of the organized and powerful Empire. Its proud eagles had sailed all the seas; the Mediterranean was its property and all peoples had kneeled down in homage and obedience; but an invisible force snatched away its diadems, took away its strength and reduced its glory to a pile of ashes”. The Spirit world regrouped and analyzed new pathways to achieve their objective. Like any good craftsman, the Spirit world takes care of its tools, the lives led in the Greek and Roman worlds would be used to reshape Europe. Using these veteran resources, Emmanuel reports on the new plan that took shape a hundred years after Christ’s arrival on earth, “A few years before the end of the first century after the coming of the new doctrine the powers of the spirit world made an analysis of the dreadful situation of the world in view of the future. Under Jesus’ direction, they established new lines of progress for civilization, marking the initial characteristics of modern day European countries”. The Spirit world was embarking on setting the stage for the rebirth of Western Civilization, a resurgence that would take it further than the boundaries of the Mediterranean, to influence the entire world. Thirteen hundred years later one could detect the slow transformation of Europe climbing out of the Dark Ages into the beginnings of the Renaissance and the Age of Discovery, which would be the foundation of our modern world. As recorded by Emmanuel, the detailed plans for the Renaissance were as follows; “On the Iberian Peninsula, under the guidance of Henry of Sagres (Henry the Navigator), who was responsible for great and beneficial accomplishments, schools were founded for navigators to sail the seas in search of unknown lands. Numerous precursors to the Reformation appeared everywhere, fighting against abuses of a religious nature. Former masters of Athens reincarnated in Italy to spread the most beautiful jewels of genius and sentiment in the areas of painting and sculpture. England and France prepared for the great democratic mission that Christ would entrust to them. Commerce spread from the restricted waters of the Mediterranean to the great waves of the Atlantic in search of forgotten roads to the East. Jesus guided this rebirth of all human activities, which would define the positions of the various European countries, and invested each one with a particular responsibility in the structure of the planet’s collective evolution”. Whereas, we on earth believe we are exceptional when our countries or corporations make five-year plans, the plans of the Spirit world span hundreds if not thousands of years. The Spirit world sets general and broad objectives and constantly monitors progress and results. The outcomes of each attempt to guide us are measured and modifications to the overall design are made to maintain the forward progress to the overall goal. And the ultimate goal is to prepare our world to shed its primitive reason for being, that of a place to learn the basic lessons of fraternity and pay off our sins, to one where spirits come to toil mainly to expand their learning and continue to grow toward a higher level. Given how the broad strategy is set, updated, measured, and new plans generated, the question remains about the performance of the spirits on the ground, fulfilling their missions to achieve their targeted objectives. As with any army, the organization in the field is meant to make the most efficient use of resources at hand as possible. In the writings by the spirit authors, four major categories of on the ground forces are found. 1. Missions by high order/ pure spirits. 2. Outposts on earth of the Spirit world. 3. Missions performed by regular spirits (on the level of Nossa Lar). 4. Missions performed by veteran spirits who have been successful in past missions. The missions by high order or pure spirits are high impact and high visibility, they are meant to cause significant changes in our growth. One striking example of a mission by a high order spirit is that of Charlemagne. Emmanuel describes the necessity of bringing organization back to Western Europe after the fall of Rome. 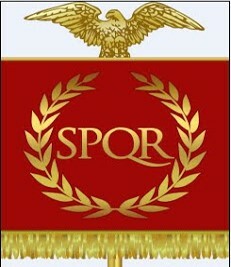 Given the splitting of the Roman Empire into many weak states, they were not in a position to resist the threat of Islamic invasion, during its dramatic years of conquest. Therefore, Emmanuel reports, “It is after this period that Jesus allowed the reincarnation of one of the most upstanding Roman emperors, who was eager to help the European spirit in its bitter decadence. This spirit was reborn as Charlemagne, the true organizer of the scattered elements needed to found the western world. Nearly illiterate, he created the greatest traditions of strength and goodness, with the loftiness that characterized his balanced and highly evolved spirit. During his 46-year reign, Charlemagne promoted education and corrected the administrative defects rampant among the disorganized peoples of Europe, thereby leaving wonderful prospects for Latinism”. Not only did the Spirit world intervene to guide countries, but also to lead organized religions to a better path. During the years of the Catholic Inquisition, that appalling institution, that tortured innocents for their beliefs, if they did not prostate themselves before the dogma of the Church, the Spirit world determined the Catholic Church needed to be reminded of the true reason for their existence. Emmanuel writes about the lesson the Spirit world gave to the priesthood, “To that end, one of Jesus’ greatest apostles reincarnated as Francis of Assisi. His great and luminous spirit shone near Rome in the region of desolate Umbria. His reformist activity took place without the sparring over words per se, because his priesthood was an example lived out in poverty and complete humility. Even so, the Church failed to grasp the fact that his lesson was meant for it, and once more refused a gift from Jesus”. The planned growth of the human race not only included our political and religious spheres, but that of philosophy and science. Spiritism has spoken of a time when science would prove the basic tenets of our doctrine. To this end the Spirit world introduced a great leap forward during the 1700’s, as described by Emmanuel, “The 18th century began with equally renewing struggles, but high order spirits of Philosophy and Science – who reincarnated chiefly in France – would fight against the errors of society and politics, upending the principles of divine right, in whose name all sorts of barbarities were being committed. Amongst this plethora of reformers were the venerable figures of Voltaire, Montesquieu, Rousseau, D’Alembert, Diderot and Quesnay. Their benevolent teachings reverberated in the future United States and throughout the rest of the world”. As one can see, many of the people in our history books have been deliberately planted in our midst to help us improve our world. Their appearance was not mere chance, but a task executed according to a plan. A plan that culminates in our planet evolving to a level where we all would love to live. Outposts, a place of protection and sustenance, a sanctuary where good spirits can rest and plan. All of these are required to support the missions of a multitude of discarnate and incarnated spirits. In several books influenced by the spirit Andre Luiz, as he embarks on training and educational missions to the earth, the base of operations is usually a Spiritual Center. The centers are used for multiple purposes, for spreading the doctrine of Spiritism, helping incarnated and disincarnated souls, and as a protected meeting place for teams of workers from the Spirit world to discuss plans and progress and to receive orders for their next assignment. In the book Action and Reaction, Andre Luiz is told about the need for security within the centers, he notices the center is surrounded by misshapen lost spirits and wonders why they can’t be allowed inside for their needed comfort; “Your suggestion would certainly be the ideal solution. However, only those who can bear its light with due respect can enter the sacred room. Almost all the brothers and sisters in the square exhibit disfigurement caused by their perversity, or they harbor fierce sentiments that their moving prayers fail to hide. With such dispositions they cannot bear the impact of the light inside because it is made up of special photons characterized by a particular electromagnetic content that is indispensable for the institute’s security. Many of these disturbed brothers and sisters may be clamoring with their lips that they long for the benefits of prayer inside the sanctuary, but in reality, once there they would love to trample the sublime name of our Heavenly Father in a display of sarcasm and blasphemy. So, in order to keep them from disturbing the divine atmosphere that we must provide for pure and comforting prayer, our guides have ordered us to keep the light gradated against easily avoidable disturbance and harm”. Therefore, a Spiritist sanctuary must above all else be a safe place for both incarnates and discarnates to meet and work. Without the correct environment, trying to assist truly ready souls would be made most difficult when surrounded by hostile spectators. Spiritists and those who are interested require an elevated environment to pray and meditate. Mediums certainly require a space for the good spirits to conjugate so they may be allowed to send their messages to the living. Andre Luiz discusses one such sanctuary with a spirit who is working at the center, “The majority of needy individuals came into contact with Jesus through a humble bowl of soup or a sheltering roof. Washing lepers, healing the insane or assisting orphans and the forsaken elderly, Christ’s followers created work for themselves and dedicated themselves to unfortunate souls, enlightening their minds and offering lessons of substantial interest to laymen of the living faith. As you can see, we are making evangelical Spiritism the recapitulation of early Christianity”. There are some centers that do not concentrate on the living, but rather the poor souls trapped on earth. In one such center in Rio, Andre notices the center caters mostly to orphaned children. Very few adult incarnates, he asks his team leader why this is so; “We avail ourselves of the center – regarded reverently for its principles of Christian solidarity – as a place for spreading healthy ideas. The foundation concentrates much more on souls than physical bodies, much more on eternal thoughts than on transitory matters”. Therefore, Spiritual centers are also important to assist the lost souls still trapped on earth. Souls, who may one day raise themselves into a better state, to supply one more spirit to assist the people of earth to raise the status of the planet. The basic math of the battle for earth is; one more spirit who wishes to attain a purer state supplies one more soldier in the battle to transform the earth. Eventually, numbers will win out. As more souls are influenced by Spiritism, the culture on earth gradually transforms to conform to our doctrines, then when spirits that have been influenced by the Spiritist centers on earth reincarnate, they find the environment to have altered and being human, they tend to follow the general direction of society. The same idea of a gradual transformation is presented in Allan Kardec’s Genesis; “Disbelievers, fanatics, and absolutists consequently will be able to return with inborn ideas of faith, tolerance and liberty. Upon their return they will find that things have changed and will experience the influence of the new environment into which they have been born. Instead of opposing new ideas, they will support them”. Spiritist centers are a vital link in the organization of the Spirit world. They are where the encounter for people’s beliefs are being fought. The only battlefield that is advantageous territory, away the clamoring culture of today’s materialism and separated from lower spirits with bad intentions. What about the normal foot soldier who is striving to actively assist the progress of human kind? The assignments given to spirits vary widely from raising and guiding children to work in a Spiritual Center as medium. In the book, The Messengers, Andre Luiz learns about the importance of the missions that are meant to foster the spread of Spiritism on earth. Andre is curious about the success rate of the missions, he speaks with a knowledgeable person who explains the problems associated with their tasks, “Any constructive task has difficulties, barriers to be overcome. Very few workers have the willpower to fight the battles inherent in the challenge. An enormous percentage will balk at the first firewall they encounter and will retreat when the opportunities become threatening”. “An enormous percentage”, is a startling statement. This serves to disabuse ourselves of the belief of the smooth inevitable march to a higher plane. The war in the trenches is hard fought and is met with failure more often than success. One example of a failed mission is described by Octavio, a person that regretfully explains his failed mission to Andre, “After having acquired great debts by committing crimes and injustices on Earth in former lifetimes, I eventually found my way to Nossa Lar and was helped by wonderful, tireless friends. In order to eventually return to Earth with a mission of service in the area of extrasensory communication, I underwent an intense thirty-year preparation. I was eager to pay off my debts and make something good out of myself. I could count on so much help! The Ministry of Communication gave me all the assistance and guidance it could; in addition, six friends also helped me immensely. Technicians from the Ministry of Assistance went with me to Earth and helped in my transition process. My life, exercising my well-developed mediumistic capabilities, was to make me part of a great team of spirit workers assigned to Brazil. Marriage was not in my program; not because the duties of a husband could be incompatible with those of a medium, but because, for my particular case, it was deemed advisable to exclude it”. Octavio speaks about preparing for his mission for thirty years. The Spirit world invested a great deal in Octavio, much more than is spent training people on earth for even the most complex tasks. Octavio goes on to describe that he had a wonderful mother who brought him up in the Spiritist doctrine, while his father was a more materialistic, but still a good person. Octavio lost his mother at fifteen and his father re-married. His step-mother had three children and his father and step-mother together had three more. They were the six friends who had assisted him in the Spirit world. Octavio was to nurture the small children after his father passed away. Octavio continues his story detailing how he treated his step-mother, who was always good to Octavio, “Not having anyone to turn to, she asked me for help again and again – and to my shame, I ignored her. Two years after my father’s death, my stepmother, was diagnosed with a devastating skin illness and was confined to a clinic. By this time, my heartlessness had reached such a level that I was totally disgusted by her and the kids, and just walked away from it all – not realizing that I was abandoning my six best friends from Nossa Lar to an uncertain fate”. Not only did Octavio fail individually, but he certainly must have adversely affected the mission of his six friends. This is just one of the many examples of failure in The Messengers. Octavio is just one of many sent on missions, again in the book The Messengers, we learn from a trusted source; “Since the very beginning of the spread of the Spiritist precepts on Earth, Nossa Lar has sent teams to the planet with the job of teaching moral values. Hundreds of workers leave here annually with the goal of helping others and making amends for their past faults. But this has not brought about the desired results. A few have achieved some success, but the majority of workers have failed altogether. We have provided assistance on numerous occasions, but have seen little success. Very few achieve their goal in the arduous realms of mediumship and spiritual teaching”. Failures for individuals had many causes, pride, quest for material goods, bad marriages, sexual temptations and others factors that daily affect our lives and lead us to different choices. Not only do the reincarnated spirits have to contend with their own human weaknesses, but there are also hurdles to those who are actively striving to spread Spiritism. Andre Luiz was told, “Did you think that spiritual evolution would be left to automatic mechanisms? On earth, our perception of spiritual matters often become warped by the dogmatism of organized religions and their conventional displays of faith”. Andre is being told two distinct concepts. One is that our spiritual evolutionary path is not one solely based on our progress and introspection’s at a pace determined by our collective advances, but in reality is a campaign to spur us on. To get us out of the materialistic mire and onto a more balanced existence. The other concept is the resistance to change that is presented by organized religions. Andre is told of the problems that exists to stop or dull the advance of Spiritism, “The Catholic Church classifies our work as diabolic, while the Protestant churches block our efforts to help those who long to know more of the eternal truths”. The most important fact to remember is the battle to spread Spiritism is extremely young, barely over 150 years. A mere moment of time in the vast history of our race. Even failure brings about the seeds of success. When a spirit is reincarnated and fails their mission, they gather valuable experience, the same as any person who first tries to learn a job. The primary attempt is always a learning episode. Given that our soldiers are immortal, they have the ability to return to the battle, with more skills, knowledge and greater determination to thrive the next time. Which brings us to the next category, missions performed by veteran spirits. As in every organization, special considerations and respect is given to those who have demonstrated their abilities. Management understands very well that the success of their plans usually rests on key individuals, people who have passed trials before and are loyal workers that can be depended upon to achieve the targets that were set. Additionally, feedback from these key personnel are carefully analyzed, for they are on the field and have the most valuable intelligence about the circumstances in which they operate. Plans will be changed as the superiors in charge learn and assess valuable information given to them by their trusted lieutenants. An illustration of the dynamic modifications of plans is given by Andre Luiz in the book Workers of the Life Eternal. Andre Luiz and the team he was part of, were preparing to assist an older woman to leave the earthly world, when they were told of an urgent requirement. Instead of helping the woman leave her physical life, they would provide her strength to continue on for some time. Andre, used to static plans, was curious about this event. His superior, Jeronimo, answered his question, “The measure should not cause any surprise. No one, other than God has supreme power. All of us, when performing the tasks entrusted to our responsibility, will experience limitations or an increase of duties according to superior purposes. The future can be calculated along general lines, but we are unable to predetermine anything with regards to the area of divine interference. The Father carries out the organization of the universe with unlimited independence in the area of Infallible Wisdom. We cooperate with a certain amount of freedom in tasks on our world, and are subject to necessary and enlightening interdependence due to our own individual imperfections. God knows, while we cannot even come close to know”. Therefore, the team based out of Nossa Lar, is part of the process to carry out the predetermine course of lives, but sometimes they will receive contradictory orders from a higher sphere. This points to the possibility that their plans are remotely supervised and when information is received that affect the milestones given, alterations will descend from on high. The team performs their new duties, which now involves keeping a frail lady, named Albina, alive for a longer time than originally planned. She was a key person in the formation of a Spiritist Center. Albina has a daughter named Loide, who is expecting a baby girl. Andre Luiz observes Albina’s students and her family praying for her and questions whether their prayers could be the cause of the adjustment of her intended life span. The answer is no, they are not the reason. Next, Andre sees a small boy of about eight years old, coming in to see his grandmother. Andre is told, the boy (nicknamed Joaozinho) is the reason for the prolonged life of Albina. Jeronimo tells Andre, “He is not Albina’s blood grandson, although he considers himself to be. He was an orphan who was left on her doorstep after he was born. Loide has been looking after him at her house ever since Albina became bedridden. In spite of the ordeal, Joaozinho is a noble and unselfish servant of Jesus, and has reincarnated on an evangelical mission. He has extensive credit from the past. He has been connected to Albina’s family for a few centuries, and he has returned to the bosom of dearly loved individuals on his way to future apostolic service”. Andre is now extremely curious how this boy could change a person’s fate. He learns that the baby girl Albina’s daughter is carrying is intended to be the boy’s wife. The boy, Joaozinho, was worried that the untimely death of his grandmother could affect his wife-to-be’s birth. Therefore, he asked for a postponement of her death until after Loide, his future mother-in-law, could give birth. Andre is informed about the boy and his intended bride, “They are not purified redeemed spirits, but rather valuable workers with sufficient moral credit to obtain more important opportunities. Despite still being a child, and due to his rich insight outside the physical realm, this reincarnate servant has been forewarned about the imminent death of our venerable sister”. Andre then learns more about how the seemingly small innocent child changed an old lady’s date of death; “So he asked for the help of all intercessory channels during the moments in which his lucid soul was able to operate outside his material body, and through his insistent pleas, he succeeded in obtaining a short postponement of Albina’s discarnation”. One can see how qualified workers, those who have past proven performances, are able through their accumulated experiences to understand what groups to notify about shifting circumstances and how to communicate their vital information, in order to modify plans for a better chance of success on the ground. The number of tested veterans will grow over time. Allowing for more missions and an increased percentage of successful operations. The campaign for our spiritual enlightenment is dependent on seasoned people, like Joaozinho and his bride-to-be. By the efforts of these veterans, those of us who are embarking on missions for the first time will learn and be guided to eventual triumph. It may take several reincarnations to become an effective team member, but all who strive in the service of our Lord, will one day be victorious. Since we are not there yet, we still have plenty of work to do. We must work for the future of the entire human race. We should be content with winning the little battles, over ourselves first and foremost, then others. Demonstrating by example and teaching when invited the precepts of Spiritism. Andre Luiz, after visiting a spiritual center in Rio de Janeiro voiced the same conclusion; “I realized that, above any type of individualistic concern, the spreading of spiritual light across the earth is not a miraculous event, but rather patient and gradual edification”. To learn more about how the spirit realm interacts with us, please read my book, Explore Your Destiny – Since Your Life’s Path is (mostly) Predetermined. Brian Foster has a BSCS degree and a MBA. He has worked in R&D for medical device corporations and in IT for large financial institutions. Holy Bible. (1996). Holy Bible, New Living Translation . Carol Stream, Ill., USA: Tyndale Charitable Trust. Xavier, F. C. (2008). The Messengers. Philadelphia, PA: Allen Kardec Educational Society.